Soft baits such as sardines and blueys can be a nightmare to cast any distance once the baits have defrosted. 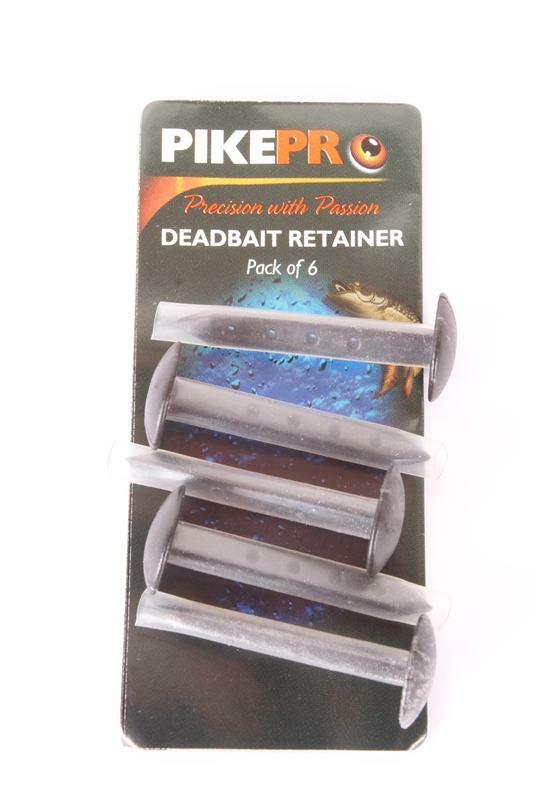 Anglers have come up with many ingenious ways of solving this problem, but the PikePro Deadbait Retainer eliminates the problem for good! 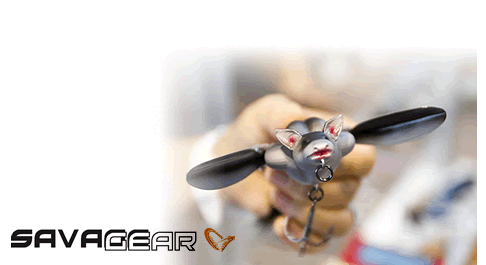 The hard T-peg is simply pushed through the bait and then a short piece of silicone tubing is pushed over the peg to cover teh point and shaft. Now simple push the barbed point of your treble hook through one of the holes in the shaft of the retainer and the bait will be held in place. Can also be used with the PikePro Bait Poppers to create simple popped-up baits and kebab rigs.